Albert Ray Olpin was the president of the University of Utah from 1946 to 1964 and led the university during a period of enormous growth and progress. President Olpin graduated from Brigham Young University and received a Ph.D. in Physics from Columbia University. He then worked at Bell Laboratories where he conducted research that led to the first television broadcast. He directed research departments at Kendall Mills in North Carolina and at Ohio State University. Finally, in 1946 he became the president of the University of Utah. Under Olpin’s presidency, university enrollment grew from 4,000 to 12,000 students, and the campus quadrupled in size. Many new programs were organized such as the Colleges of Fine Arts and Nursing. The university also awarded its first Ph.D. to James Sugihara in Chemistry, the football team defeated BYU in its first nationally televised game, and the university started its own television station, KUED. Many of the buildings on campus today were built under President Olpin’s administration. 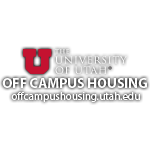 President Olpin started a 10-year building program in which 30 buildings were completed, including Milton Bennion Hall, the Merrill Engineering Building, and, of course, the A. Ray Olpin Union Building.